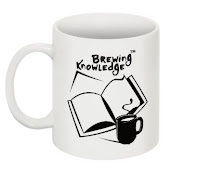 Brewing Knowledge: Making Research More Exciting! Tarun, an edupreneur, working on a startup called Sciensation, tries to convey the excitement of research in pure sciences, through events and lectures in schools. They present abstract ideas through riddles and analogies. Students discover Darwin's theory of evolution through bullet firing puzzles, Organic Chemistry through middle monkey game etc.Our tagline has been- We challenge the filmstars and the cricketers, scientists can be rockstars too! We talk of Physics of Rajnikanth, Evolutionary Love Guru, Sherlock Holmes in a Chemistry lab etc. The quiz Sciensation started off in 2011 with the focus on exciting students into sciences. Our format is inspired by Socrates’ Dialogue- we award points for questions/answers/counter questions and encourage a rally of Q&A around the topic, rather than settle with one answer. We are very different from most quizzes which are answer centric. Sciensation is a media-startup which does science communication. Our mission is to build a full-fledged media house(Print/Tele/Event/Social) to market science as entertainment/education/consulting. Our vision is to empower a layman so as to help a Feynman in his research. Sciensation is an early stage startup, founded in 2011, their goal is to start a popular science television channel after scaling and generating interest in people. Their Long-term goal is to enter the Contract R&D business and work on bridging the gap between the academia and the industry. Sciensation is the cocktail of a scientist, a science-communicator and an entrepreneur. Want to connect with you to discuss Sciensation and explore opportunities for collaboration? Looks interesting.Idea communicated well. Will certainly like to see the trailer of the 'movie'. All the best for your new venture.